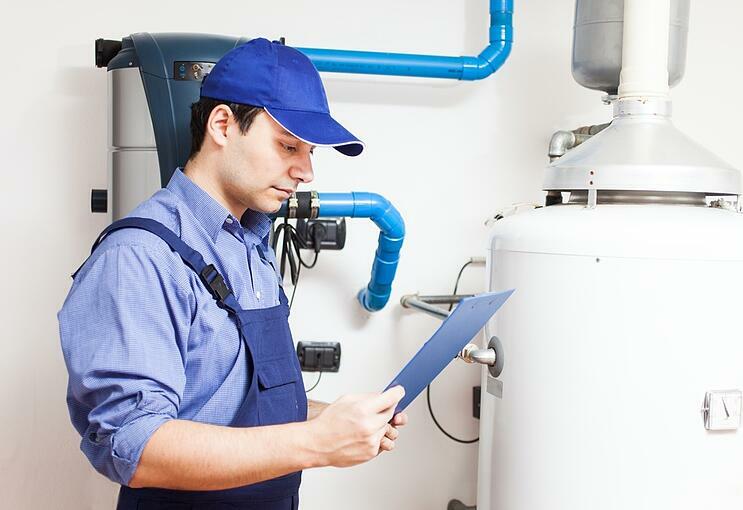 Replacing Your Water Heater? How About Water Heater Recycling? When you finally have to replace your home's old water heater, what do you do with it? Recycling really is an option. Disposing of old appliances is never an easy job. Unless your vendor for the new machine offers to remove your old one for free, the task can be difficult and expensive. Your old and unwanted appliances such as water heaters weigh a ton and are very difficult to carry. Finding a drop-off or recycling center for an old hot water tank may not be an option for you. And you would need a truck to do it, or else you risk damaging your vehicle. The last thing you want to consider is taking your old water heater off to the local landfill. The materials and components of your old water tank can be recycled and this is a far better option. Everybody wants to have consistent and reliable hot water, especially in a home with a large number of people. As many homeowners discover, however, this is not always possible with an aging and out-dated hot water tank. And they do stop working at some point, which a new water heater is no longer an option. Putting up with cold or inconsistent water temperatures is highly unpleasant when you shave, brush your teeth or wash up. Especially in winter! Aside from the comfort factor, there is also the increasing operating costs of old, outdated water heaters. If you upgrade your water heater to a new and more efficient model, such as a tankless on-demand heater, you can reduce your gas or electric consumption by 20% or more. If your water heater also provides radiant heating, it’s even more important to upgrade. Depending on the manufacturer, the life expectancy of a water heater is about eight to twelve years. That varies with the location and design of the appliance, the quality of installation, maintenance and your water quality. When should you consider replacing your water hater? If your water heater is more than 10 years old, leaks around the base of the tank, or works erratically, it's probably time for replacement. If you're replacing a water heater, you can replace it with the same type of unit. However, upgrade possibilities should be considered. For example, you may choose to increase or decrease the unit's holding capacity to accommodate a changing family. Or, you may opt to go tankless. At some point you will need a new water heater — and you will also need a reliable, professional junk removal service to haul away the old one! Whether you install a new tankless or regular water heater system, call Junk King and we’ll remove that old water heater system for you. Junk King's water heater disposal and recycling services is your safe, eco-friendly option to take care of an appliance like this. We have the expertise and equipment to remove all types of big, bulky, and old appliances. Environmental efforts take center stage at Junk King. We’re the greenest appliance removal service, and we want to keep it that way! We recycle or donate most of the junk we take using our own recycling facilities or other local drop-off centers. For water heaters and other junk appliance pick-up, our team will disassemble the parts or take the equipment to an industrial recycling processor for safe, clean, energy-efficient repurposing. Junk King's recycling process will save your old appliance from going to landfill and help reduce emissions. You need experienced professionals if you want a great customer service experience and a smooth pick-up, with no strings attached. 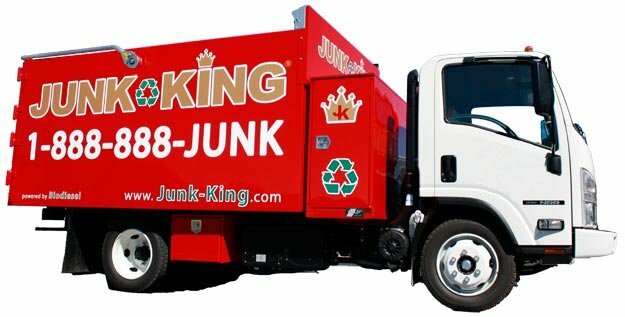 Junk King provides friendly, helpful service from the moment you schedule your appointment and get an estimate. We give you a courtesy call 15 minutes before we show up to confirm your appointment. You get an upfront estimate (with no hidden fees) before we begin junk removal. Schedule Your Water Heater Disposal and Recycling Today! Experience and professionalism matter when it comes to appliance haul away. Our trained staff will safely disconnect and remove your water heater from the site and carefully carry it out to our junk removal truck. It’s a difficult task that requires strength, skill, experience, and the right equipment to make sure everything goes quickly and smoothly. Ready to choose safe, efficient junk removal and environmentally friendly appliance pick-up and recycling? Book online or call 1.888.888.JUNK (5865) to get started so you can enjoy your new, more efficient water heater even sooner!